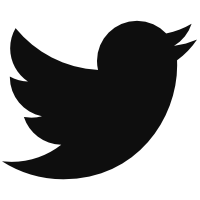 Nonetheless, this idea of one or two special attributes gets me to my main point. On Monday, the Marlins released right-handed pitcher Dan Straily in a move that was something of a surprise. Miami isn’t looking to contend this year, and at a minimum, Straily could have been a decent innings eater for them. Like many other teams, the Marlins are opting to roll with younger players; the average age of their starting rotation is just 27 years old, though at 30, Straily wouldn’t have had the most grey hairs on the staff. That title belongs to Wei-Yin Chen, who the Marlins still owe $42 million over the next two seasons. Straily is now looking for a new home, and unfortunately, it’s at an inopportune time with Opening Day today. Still, Straily has had a decent seven-year career, reaching a career-high in WAR (2.1) in 181.2 innings as recently as 2017. Last year he made 23 starts, posting a 4.12 ERA and a 5.11 FIP over 122.1 innings. His 19.1 K% and a 10.0 BB% weren’t awful, though both marks were below league-average for a starting pitcher. Putting all of this together, he was worth just 0.1 WAR. Does this mean that Straily has no positive attributes? Absolutely not. In fact, there is a lot to like about his profile. Well, two thing in particular: he’s really good at generating spin on his fastball (70th percentile), and he throws a potentially deadly changeup. A high spin rate on a fastball means it drops less when reaching the plate, resulting in more pop ups and fly balls. Straily’s numbers would support this theory; since 2016, he’s posted the 10th-lowest groundball rate among 236 starting pitchers with 100-plus innings. At the same time, his infield fly ball rate (those are good for a pitcher to generate) ranks in the top 18% of that same group. On the change, Straily’s wOBA allowed (.280) with the pitch only ranked in about the 50th percentile last season, but his whiff rate of 41.5% was quite impressive. Among the 132 pitchers to throw at least 100 changeups last year, Straily’s whiff rate ranked 15th. He only threw it 17% of the time though, and mainly to left-handed hitters, with 76% of the changeups he threw coming to lefties. He might need to emphasize the pitch more against right-handed hitting going forward, but this is a trend that he has had his entire career; asking him to simply move out of his comfort zone might not be ideal. Despite Straily’s positive underlying numbers on both his fastball and his changeup, the results just weren’t there. He allowed a 46.9% hard-hit rate last season, a 14.3-percentage point jump from his 32.6% rate in 2017. This increase was the largest increase in baseball. Also, remember how I said that a high-spin-rate fastball tends to generate more pop ups and fly balls? Well, this is exactly what happened to Straily last year. A hard-hit fly ball can mean a lot of things, but one immediately comes to mind: home runs. Among the 128 starters with 100-plus innings last year, Straily’s home run per fly ball rate of 13.5% was the 51st-highest. 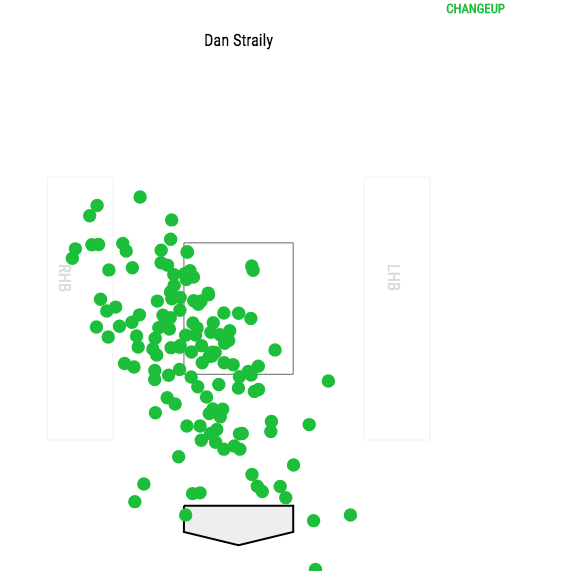 That’s not awful, but remember, Straily allows a lot of fly balls to begin with. His 1.47 home runs allowed per nine innings was the 22nd-highest rate in the majors; that’s less ideal, putting him in nearly the bottom 15 percent of the league in limiting homers. Straily has always allowed a lot of home runs. It’s been a significant part of his profile for the past three years, and during his career year in 2017, it was still there. The difference, however, came in his strikeout-to-walk rate; a 14.3 K-BB% was easily a career-best and put him solidly above the league average (12.5 K-BB%). This generated his success. Where did all those strikeouts go? The answer brings us back to what I deem to be Straily’s best pitch: his changeup. Of the 153 plate appearances that ended in a changeup during Straily’s 2017 campaign, 26.1% of them were strikeouts. That figure dropped to 20.9% in 2018. That still doesn’t answer our question because Straily’s best pitch is his changeup, and it still generated a 41.5% whiff rate last year. And, no, he didn’t throw it less often with two strikes, doing so about 20% of the time in both years. What was different, however, was where Straily threw his changeup with two strikes. 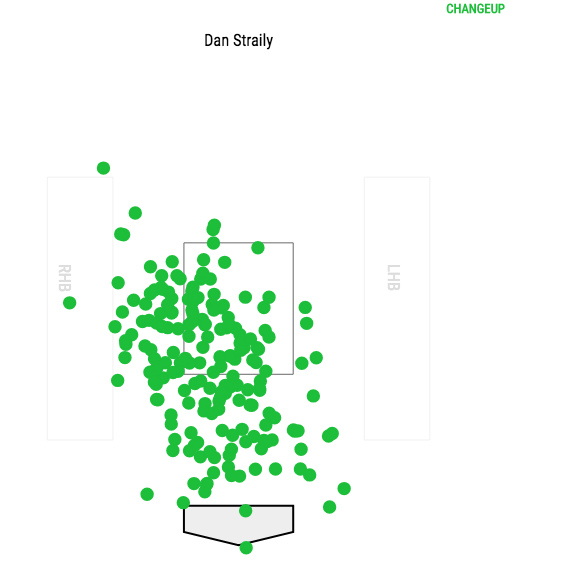 If it looks to you like more of Straily’s 2017 changeups are in the strike zone, then you’d be correct. In fact, 39.7% of Straily’s two-strike changeups were balls in 2017. In 2018, this number spiked to 47.0%. If that’s not enough, the percent of two-strike changeups that ended with a swing-and-a-miss dropped from 18.6% in 2017 to just 11.9%. I can more confidently say that this is where the strikeouts went. By throwing the changeup in the zone less often in 2018, hitters likely laid off easier and Straily’s strikeout rate, both on this pitch and overall, plummeted. There is value to be had here. If you’re the Brewers, or the Giants, or really any team listed in the back half of our starting pitcher positional power rankings, Straily might be worth a look. He’s going to be pretty cheap, and even if you’re a rebuilding team, you could potentially flip him at the trade deadline for a flier prospect. Just remember, James Shields once netted the Padres Fernando Tatis Jr.
Not everyone can be good at everything (unless, of course, you’re Mike Trout), but Dan Straily is good at something. And that’s throwing a changeup. Here’s my pitch: sign Straily, have him throw his changeup more often (at least with two strikes), and prosper. We hoped you liked reading Dan Straily Can Generate Solid Value With This Pitch by Devan Fink! I also wonder if he would work as a “bulk guy” for a team like the Rays. Limiting his times through the order might help him rely more on his changeup, making him more effective.